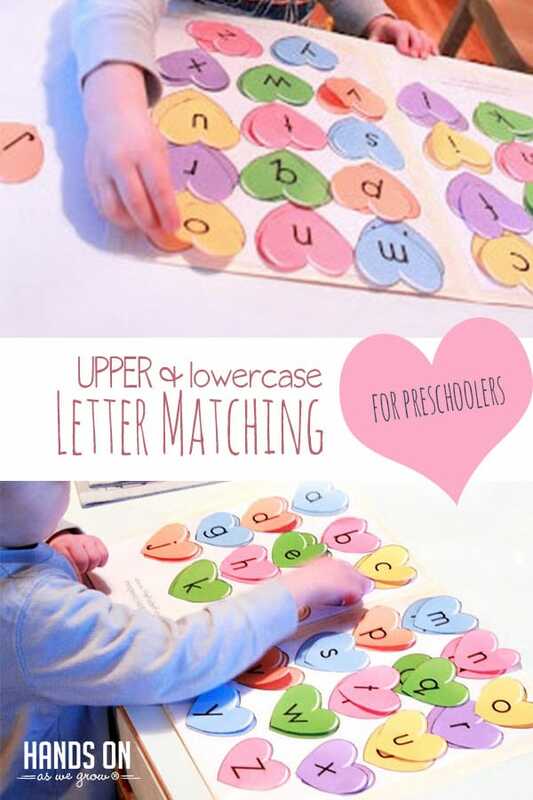 Try this fun heart matching activity to teach the difference between uppercase and lowercase letters! 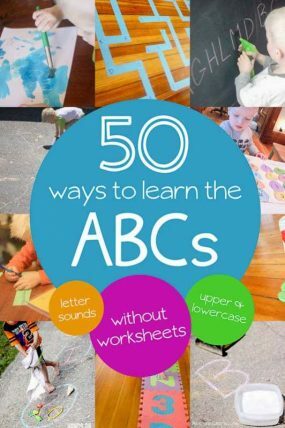 But this was definitely the next step we needed to take in learning letters. I wanted to help Henry know that the uppercase and lowercase matched! 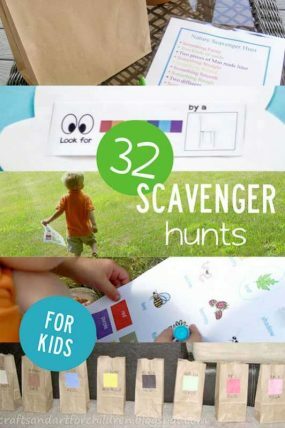 I found this incredible site: File Folder Fun – I’m in love with all the printables I found there for intentional learning activities! And they fit nicely in a file folder for easy storage. 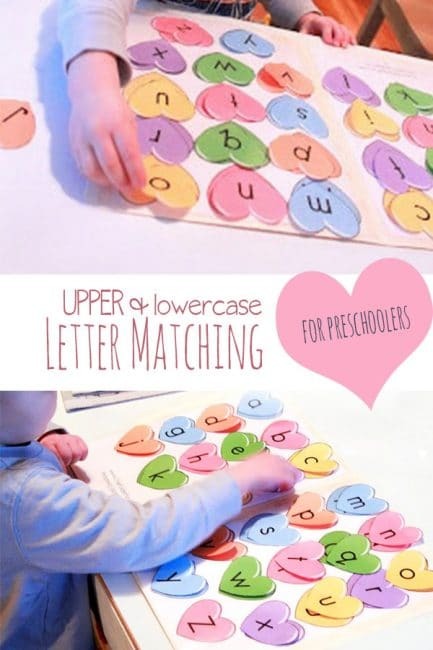 They have themes and whatnot, and I found one for Valentine’s Day to work on matching upper and lowercase letters! I really wasn’t sure if Henry knew his lowercase letters, so I thought this might be a nice test just to see what he knew. Not to really push him into learning it, but more as an evaluation or assessment of his knowledge. 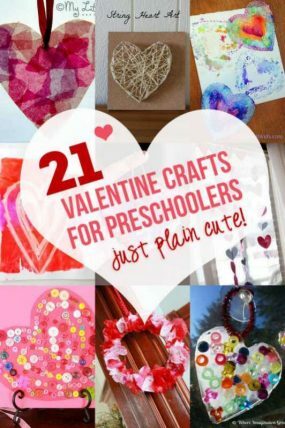 Plus they are hearts so even more fitting for Valentine’s Day coming up! Henry surprised me and knew probably 75% of the lowercase letters. He had troubles with some, which was mainly because of the font of the letters. 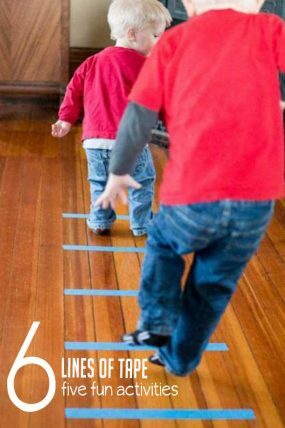 “I” was just a straight line, “J” had no line on the top, “q” had no curly q fora tail. I markered over them to make them more familiar. You could leave them alone and have a discussion about different fonts or writing styles. 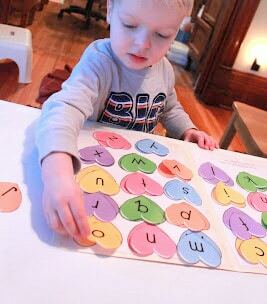 As Henry has grown up a lot since doing this activity, we’re still working on letter recognition, just to reinforce it. We recently made a bead bracelet for Valentine’s Day that he also worked on matching upper and lowercase letters to make words. 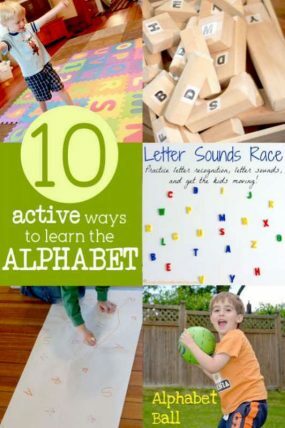 What are your favorite ways to learn letters with your preschooler? 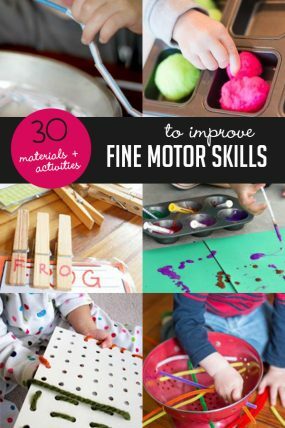 Share your favorite activities with us! 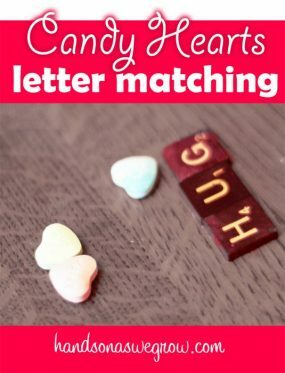 Where can I print the alphabet matching hearts? I love the idea! I just added a link in the post directly to it. Love this!! I went to their website. 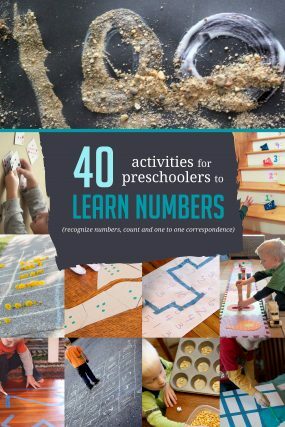 Thank you for linking me to this new resource!! This is a great idea! 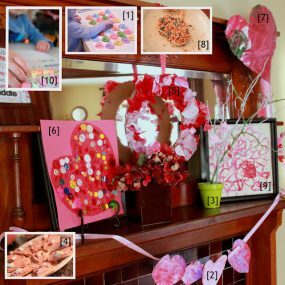 My little one would enjoy the heart shapes! 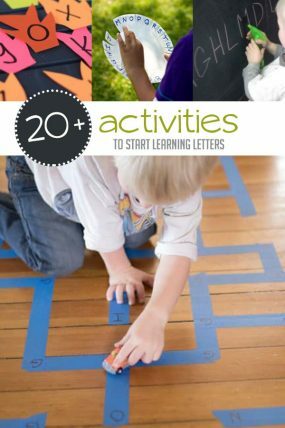 She too is very interested in her letters at the moment so this will be a great activity to do with her. Thank you for sharing.